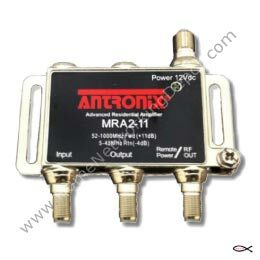 Provides 11dB of forward gain from 54Mhz - 1Ghz. Passive return band 5-42Mhz (for proper cable modem operation). Five (5) year exchange warranty from manufacturer, Go to www.ANTRONIX.net, US only.